I am extremely lucky to still have my wonderful Grandparents around, I appreciate how lucky I am to have them in my life, and although we do not spend as much time as we should with them in person due to the demands of my children not being compatible with their old age, they are a huge inspiration watching how they have lived their life and loved and cared for each other over the years. 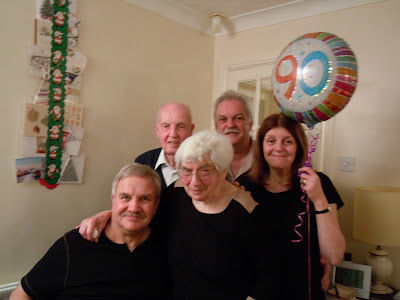 I remember spending summer afternoons at their house jumping from tile to tile in their kitchen, then they moved to their bungalow, where I remember playing hide the penny with Grandad and watching the birds through their patio doors. They are the sort of grandparents you always respected always offering biscuits or cakes brought through on a tray, with a pound coin pressed into your hand when you left, visits to their house as a child will always be held in my memories. 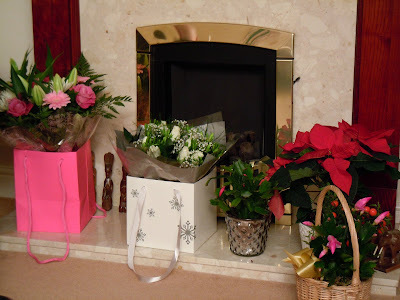 The years have past, as they always do, and the family grown, with just two children themselves, they now have 7 Grandchildren and 15 Great-Grandchildren! 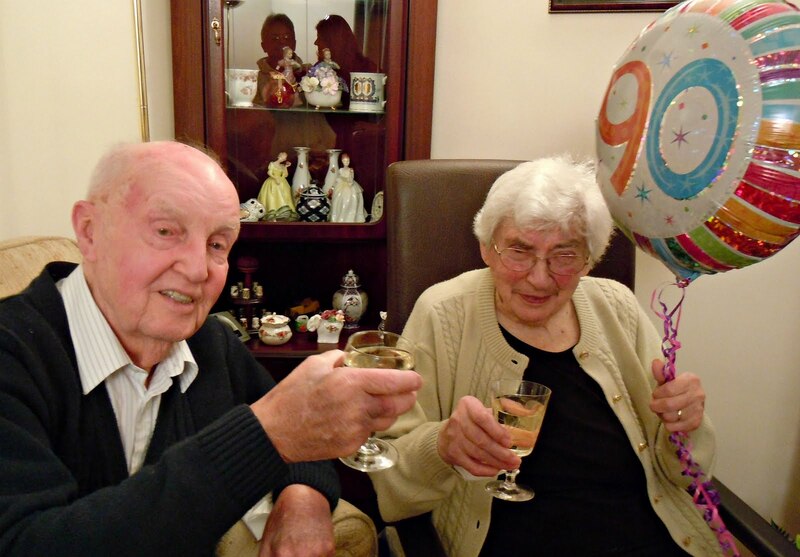 Unfortunately health is not as great as it once was for my Gran, and the past few years have been tough for her, yet my Grandad spends his time making sure they both manage, his love and care means they still enjoy life in their own home, he helps my Gran with everyday tasks and keep up the housework, he is a truly inspirational man. On 12th December Gran celebrated her 90th birthday. Due to my Grans health it was not possible for a huge party, but my Grandad, Mum, Dad, Auntie and Uncle all celebrated at home. 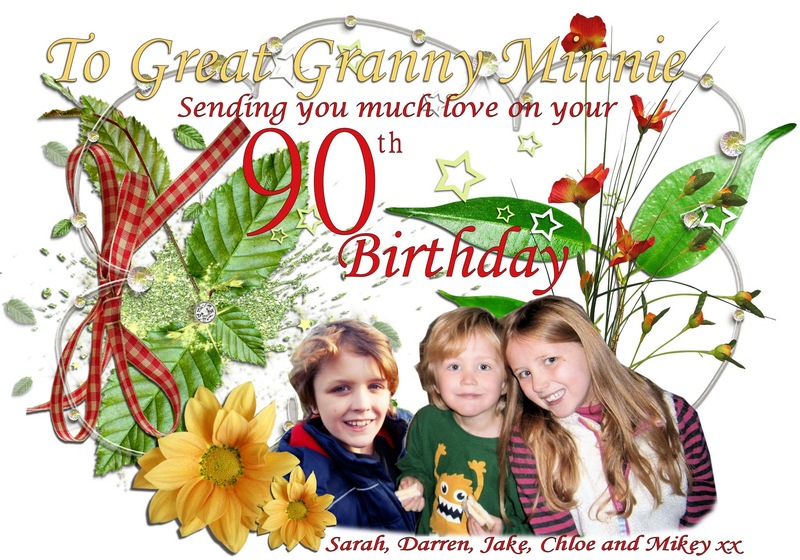 The grandchildren and great grandchildren were not there in person, but good wishes were being sent from all over the world wishing Granny Minnie a wonderful day. 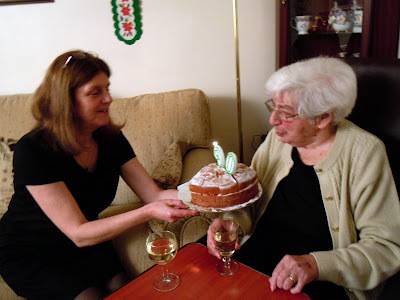 So it is with the up most respect and love that I say Happy 90th Birthday Gran.